So far so good. Although we had a mini-snowmaggedon in Chicago last night, O’Hare was pretty calm this morning. I had a bit of a kerfuffle with the agent at United about the weight of my SCUBA luggage but after some regulator bag jumping and a shift change, I sailed through nary an overweight baggage charge. My flight from Chicago to Tokyo was 12 hours and now I get on a flight to Manila. It’s delayed, but just a half hour. And I’m plenty amused by the Sumo wrestling on the television. A petite little woman next to me just let out an enormous burp. Is that acceptable in Japan? Nudibranchs are fascinating and come in all sorts of colors and patterns. The fun is in the finding. They are usually pretty small and it’s great sport to photograph one and point it out to your dive buddies (in that order, you never know when one might slip away). It’s true, they don’t move very fast, but sometimes they disappear without a diver noticing. 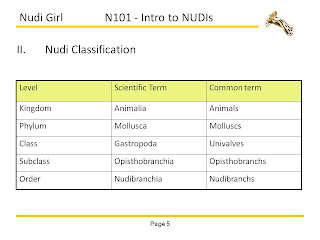 There are thousands of species of nudibranchs which are grouped up into Families. 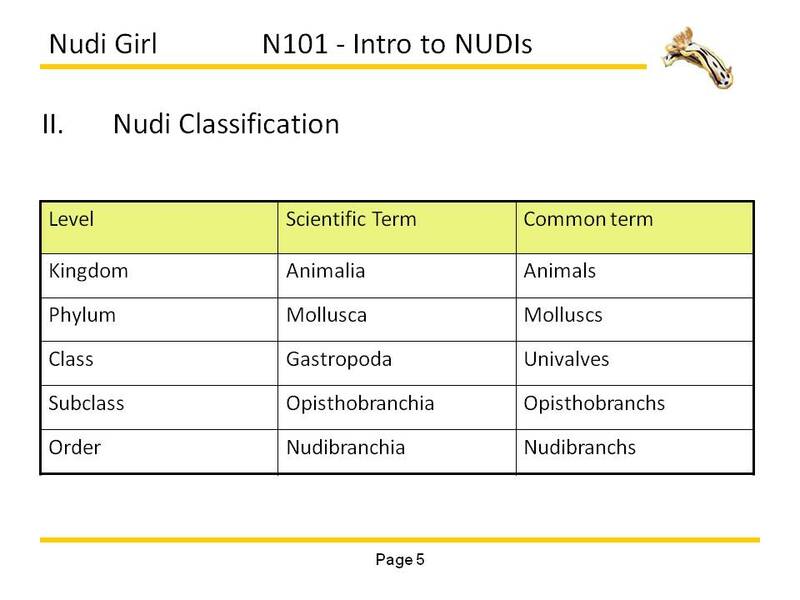 The species names are all in Latin and have two names. The first is capitalized and the second is not. My goal on any dive trip is to find as many nudibranchs as possible. While it might be interesting to collect an overall count, my objective is to find as many unique species. There are some nudibranch species like Phyllidiella pustulosa which are very common and can be found on almost every dive, so rest assured, I will only count it once.